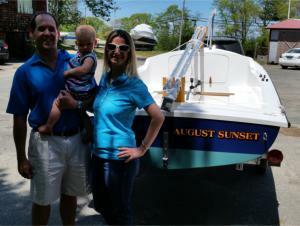 We have so enjoyed sailing our 2013 Cape Cod Bull's Eye. We have had two seasons now of lake sailing and I’m beginning to feel quite confident at the helm. This might be the year we take it out on the Bay. 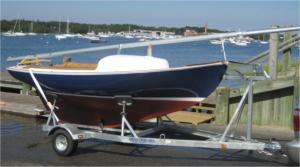 It is a glorious boat and every time we are out we appreciate the thoughtful, quality of the design and manufacture. You were right, people always stop at the Marina or even in a parking lot on the road to say how beautiful she is. Thank you!!!. After many years of hard racing Cape Cod Shipbuilding replaced my Shields rudder and added a racing bottom. The rudder had worn at the heel fitting. 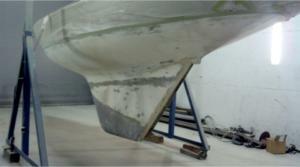 The new bottom and rudder are very nice and I have seen a boost in my racing performace. The team at CCSB is great and really understand their boats. First Race, Second PlaceI was certain the bilge cover had been lost. Then when I opened the cockpit cover, to cover the boat it came flying out. I’ve been so impressed to see that not a single thing was forgotten by your crew. That really is quite a feat, when you think of all the tiny (and large) parts involved. 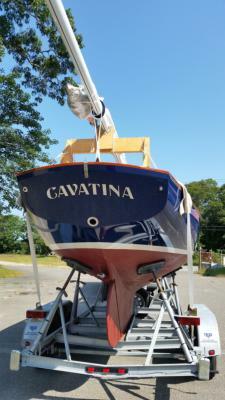 My good friend Alberto (who grew up sailing also) helped me rig the boat and get it launched. He had never sailed on a Herreshoff of any kind. Even with the super light wind, he was simply shocked at how that little boat just kept moving along anyway. The boat sailed incredibly! Thank you again for all the incredible work by you and your crew. I’m sure I will be calling with a few more questions. 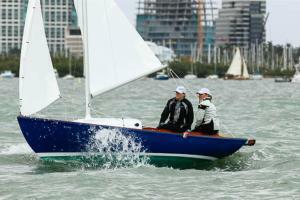 But for now I am really enjoying having Clover back, and sailing Biscayne Bay! Our first summer with the August Sunset was wonderful, and we look forward to many more to come! Thank you again for taking time during your busy season to help us out. I knew there was a reason we chose a Cape Cod Boat! You folks are good people, and you build a delightful little boat.